Retube & Repair - J.F.D. Tube & Coil Products, Inc.
24 Hour & 48 Hour! For over 25 years, J.F.D. 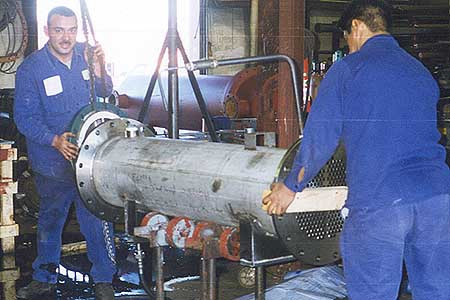 Tube & Coil Products, Inc. has been providing quality retube and repair jobs for our customers' tube bundles, heat exchangers, and other HVAC equipment. Although sometimes a full replacement is necessary, many times retubing and repairing your unit can be much more time and cost effective. 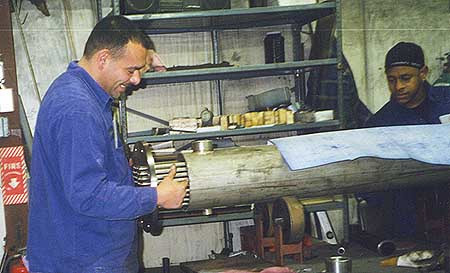 To minimize your costs, we only replace parts on the unit that are failing. Contact J.F.D. today so we can inspect your damaged unit to tell you whether a retube/repair job can save you time and money. J.F.D. standard lead time for retube/repair jobs is 1 week after receipt of damaged unit. 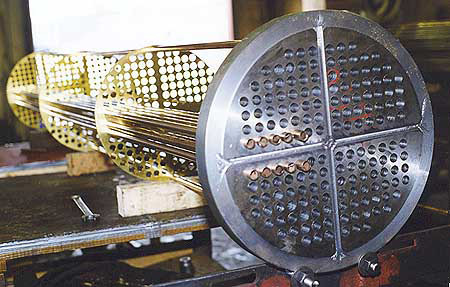 RUSH / EMERGENCY SHIPMENTS are available for tube bundles and heat exchangers retube / repair orders. Contact us today for more information on how we can help you with your tube bundles, heat exchangers, or other HVAC equipment.